September 28th 1822… Joseph T. Robertson to James K. Nance both of Spartanburg: for $229.50 sold (ac omitted) on waters of Fairforest Creek of Tyger River. Witnesses: Ab Lancaster and James Hunt. Signed Joseph T. Robertson.Witness oath none and recorded November 22nd 1822.Dower renounced November 22nd 1822 Renney Robertson to Elisha Bomar. 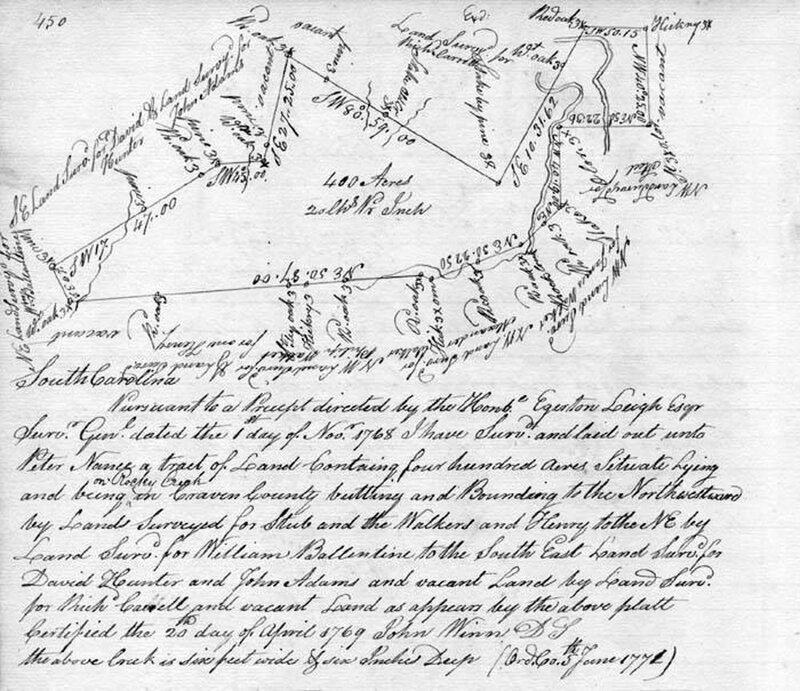 September 28th 1822… Joseph T. Robertson to James K. Nance both of Spartanburg: for $229.50 sold (ac omitted) on waters of Fairforest Creek of Tyger River. Witness Abel Lancaster and James Hunt. Witness oath of James Hunt to E. Bomar and recorded November 26th 1822.Dower renounced November 28th 1822 by Renney Robertson to E. Bomar.